I’ve always loved eating salads, but I’ll admit – from time to time, I get bored with my options. Sometimes I just can’t come up with enough variety to stay excited. This cool contraption can turn just about any veggie into a fun noodle shape. 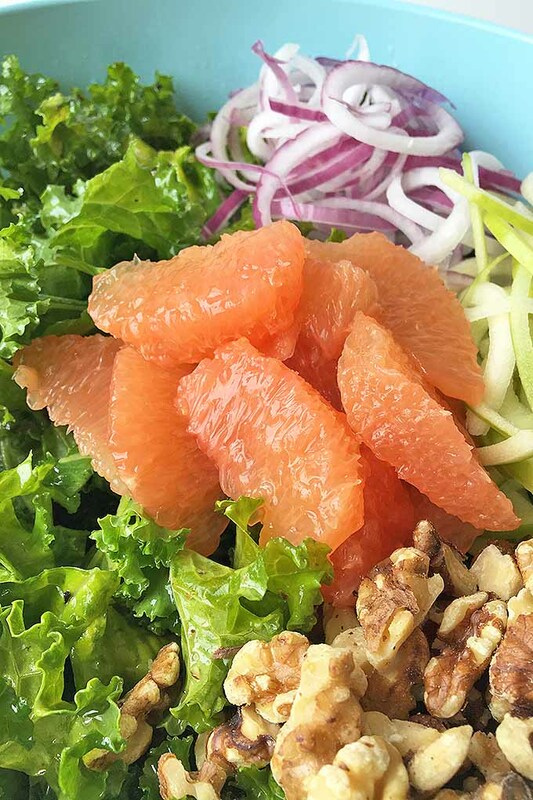 Mixing up the textures in a salad is a great way to keep it fresh! I’m especially excited about adding spiralized apples and red onions to my favorite kale salad. I’ve been a little wary of kale in the past. 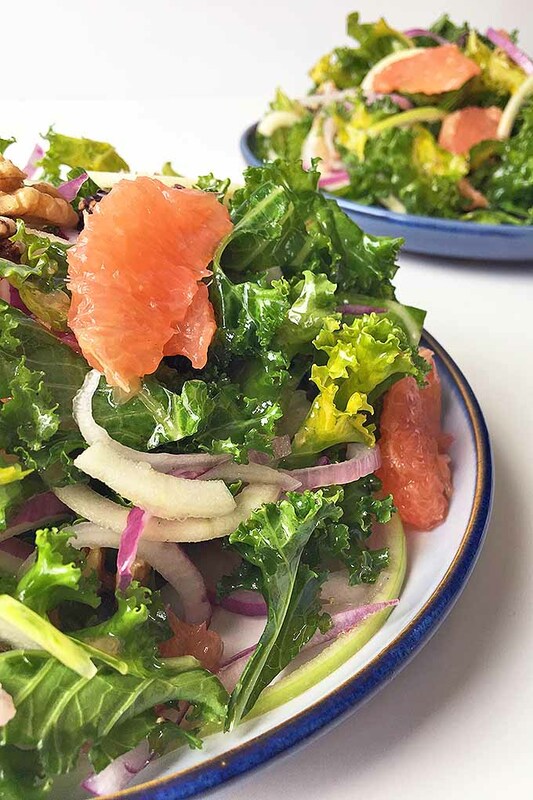 I tend to roll my eyes at food trends, so I definitely did not get on board with the kale takeover. But one day the deep green stalks just cried out to me from the corner of the farmers market and I decided it was time to reevaluate my disdain. It turns out I was passing up on a delicious veggie all along. I mostly serve kale roasted or wilted so that it’s easier to digest (and who can every turn down a tray of perfectly roasted veggies? ), but occasionally I enjoy it raw in a salad. 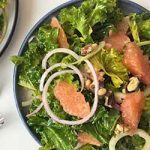 In my recipe below, crisp apples and bright grapefruit coupled with the toasty walnuts, spicy red onion, and sweet honey make it a real treat, and sturdy kale is absolutely the best green of choice to hold its own alongside the flavorful fruit. 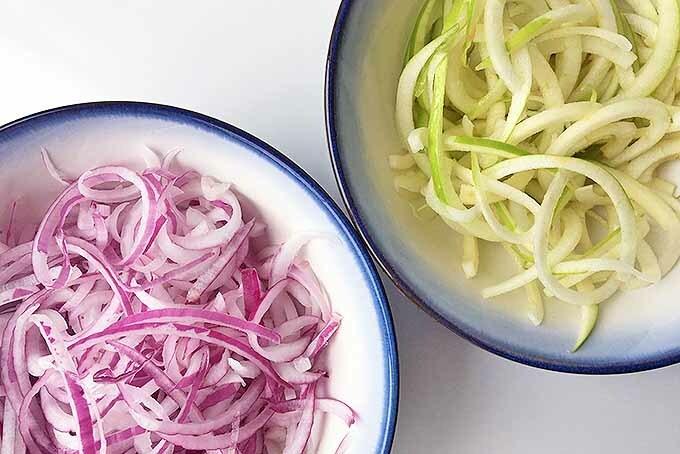 If you don’t have a spiralizer, you can julienne the apples and onions using a mandoline or a julienne vegetable peeler instead – but if you ask me, this isn’t nearly as much fun. 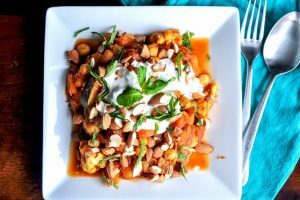 This recipe serves four if eaten as a full dinner, a few more if served as just an appetizer or side. Of course, who says you need to serve it to a crowd? You can always adjust as needed for a single serving. 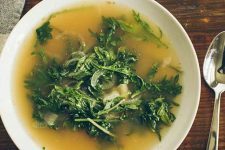 Kale is really fibrous, making it tough to chew and also tough to digest. To help soften it up, it’s best to massage it with the vinaigrette to start. 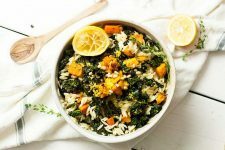 It might sound funny, but as you work the kale and dressing together with your hands or in the bowl of a mixer with a dough hook, the acid will break down the fibers that make it hard to chew. Your jaw, your stomach, and most importantly, your taste buds will thank you. 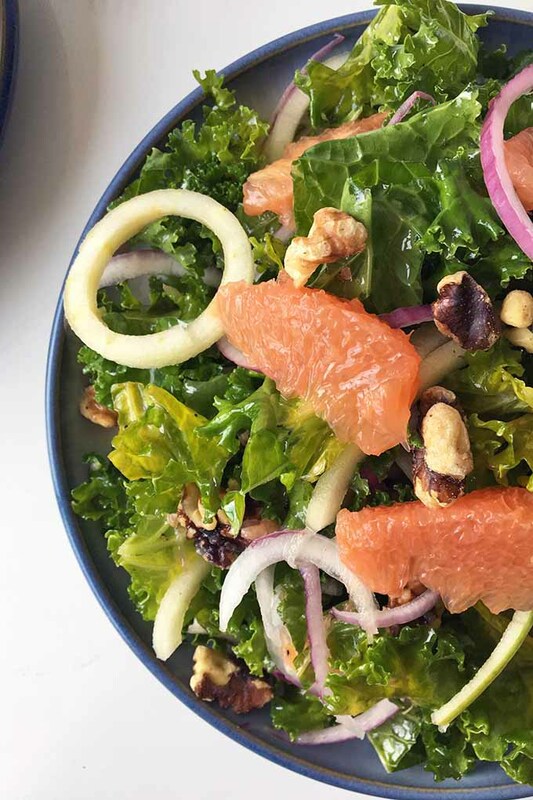 Spiralizers make eating healthy so much fun. 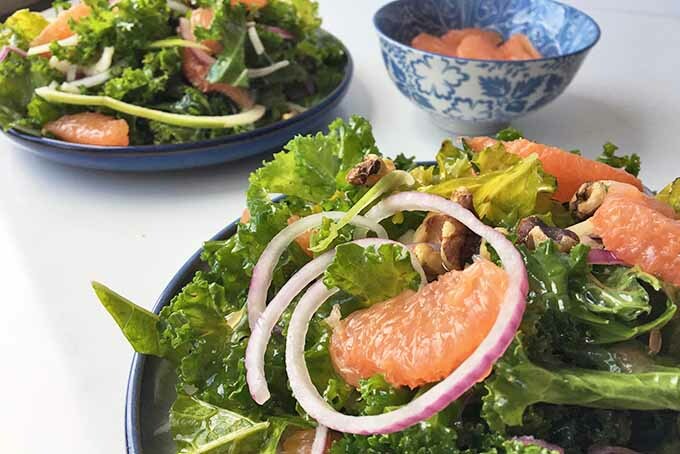 Kale gets fancy in this salad with strings of apple and red onion topped with grapefruit. 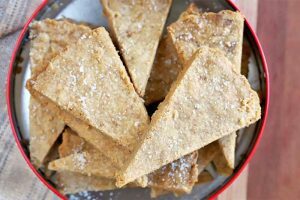 Read more on Foodal. 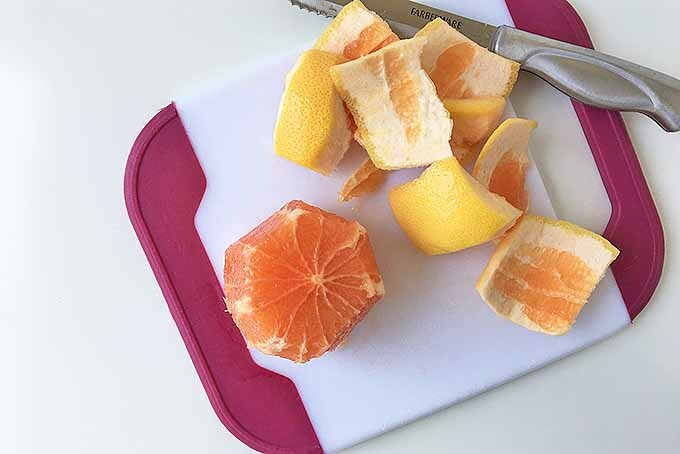 Cut the grapefruit into supremes, reserving any juice that drips as you slice. Evenly divide the juice in two separate bowls, and set aside. 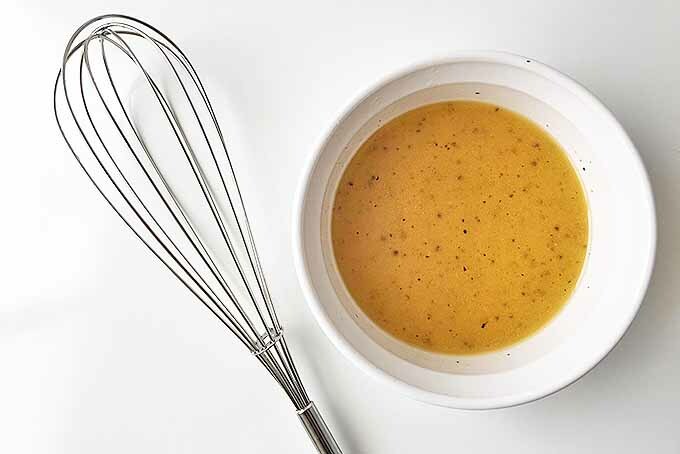 In the base of a large bowl, whisk together all of the dressing ingredients. 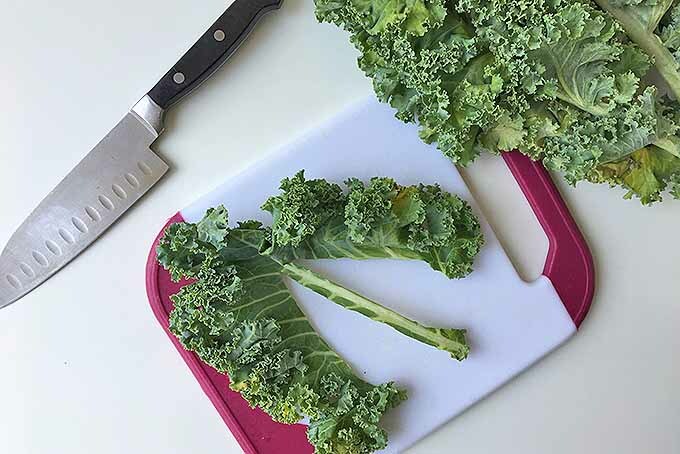 Remove the spine from each piece of kale and chop the greens into small pieces. Toss with the dressing and massage with your hands. 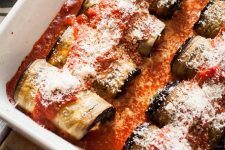 Set aside while you prepare the rest of the ingredients. Spiralize the apple and red onion into thin noodles and combine with the remaining grapefruit juice. 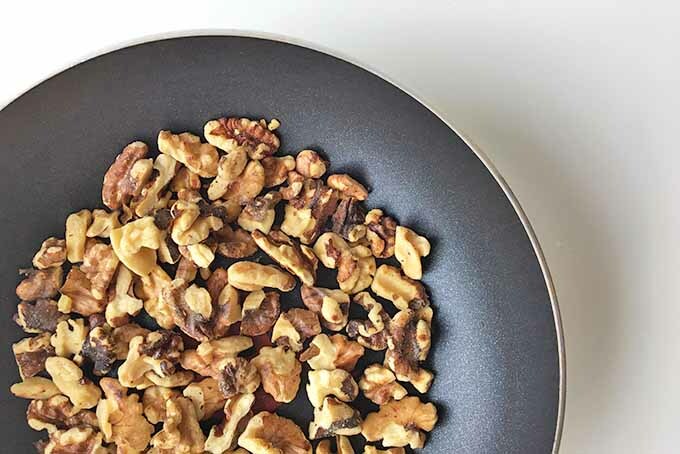 Lightly toast the walnuts in a small, dry saute pan over low heat until fragrant. Remove from the heat immediately. 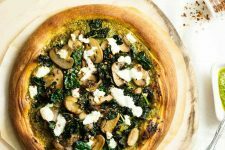 Toss all of the toppings together with the kale and dressing and serve immediately. To supreme a citrus fruit is to cut it in such a manner that you serve only the fruit segments in between each membrane. This means lots of flavor and minimal fibrous bits. 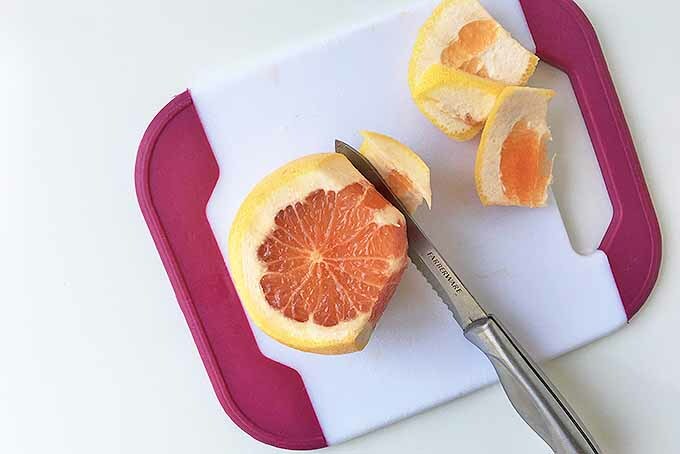 To supreme your grapefruit, cut off both the top (stem end) and bottom (flower end) on a cutting board so that you have a flattened sphere that can stand on its own. 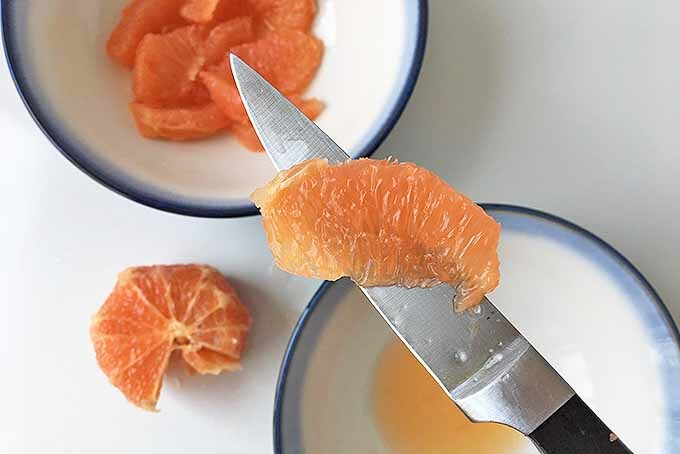 Using a sharp chef’s knife, slice from top to bottom, following the curve of the fruit, so that you remove the peel and pith. 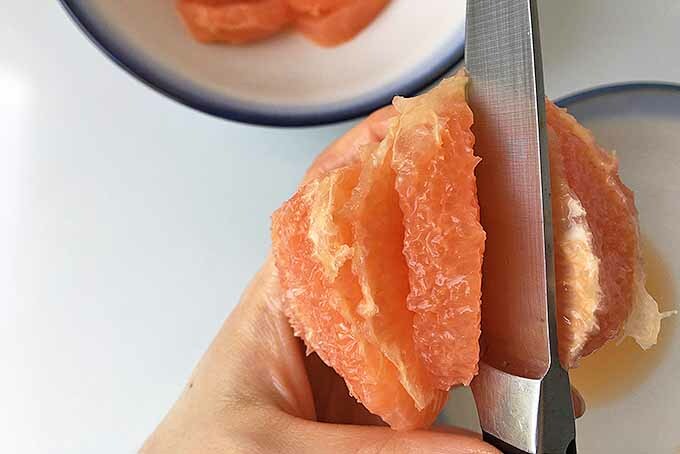 Repeat this step all the way around the fruit until there is no peel or pith remaining. A serrated knife is a great tool to cut through the peel, if your chef’s knife is due for a sharpening! Next, slice in between each piece of the membrane to remove the fruit. Set the supreme piece aside. It’s best to do this step over a bowl so that you can reserve all of the juices that escape. 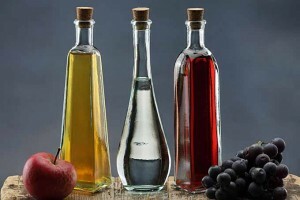 Divide the juice evenly between two bowls – you’ll want to save these juices to make the dressing and to coat the apples and onions. 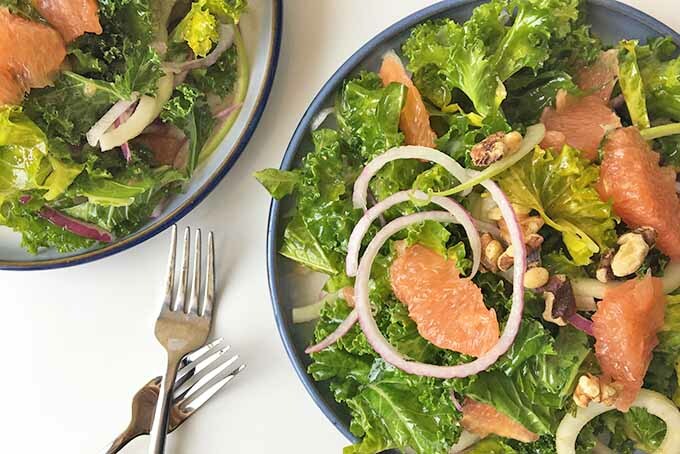 To make the dressing, mix together half of the grapefruit juice, olive oil, honey, and salt. 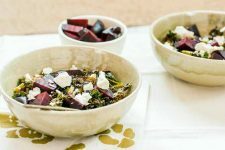 You can prepare this ahead of time and store in an airtight container, or you can simply mix it up in the bowl that you plan to serve the salad from. To prepare the kale, start by removing the spine from each piece. This fibrous rib is tough both to digest and to chew, so removing it is sure to improve your entire salad eating experience. Next, chop the greens into small pieces. 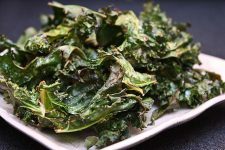 Again, because kale is so fibrous, it will be much tastier if you start with small, thin slices rather than large hand-torn pieces. 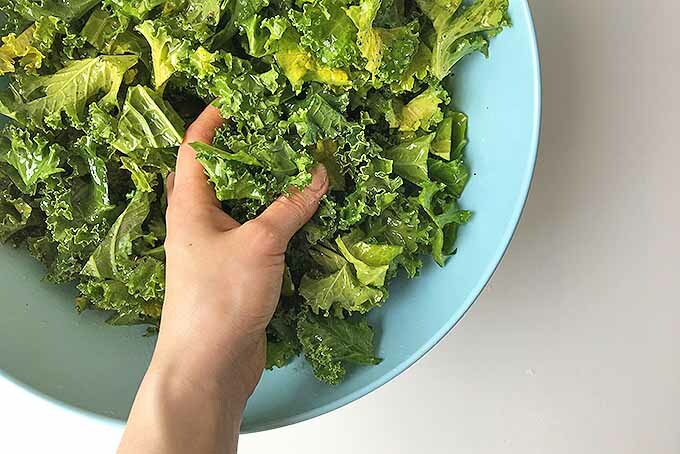 Mix the greens together with the dressing, massaging the leaves with your hands to allow the acid to break down the fibers. 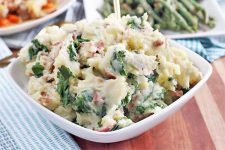 Let this sit while you prepare the rest of the ingredients, as it will continue softening the greens. 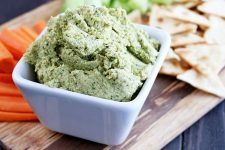 It can rest for up to 12 hours without getting too soft, so complete this step and pause here if you want to prepare the salad ahead of time. Spiralize the apple and onion according to the manufacturer’s recommendations specific to your machine. There are numerous styles of spiralizers, so carefully follow the directions of your own tool! If yours has a variety of thickness settings, it is up to you which texture you prefer. 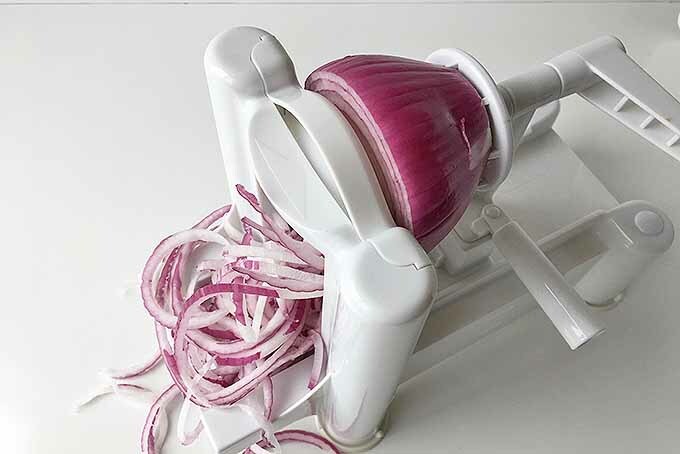 I’ll demonstrate the spiralizing technique on the onion with the Paderno World Cuisine tri-blade spiralizer, using the chipper blade attachment to create thicker spiral strands. Secure the base on a solid surface like a table or a counter by firmly pressing down on its suction feet. 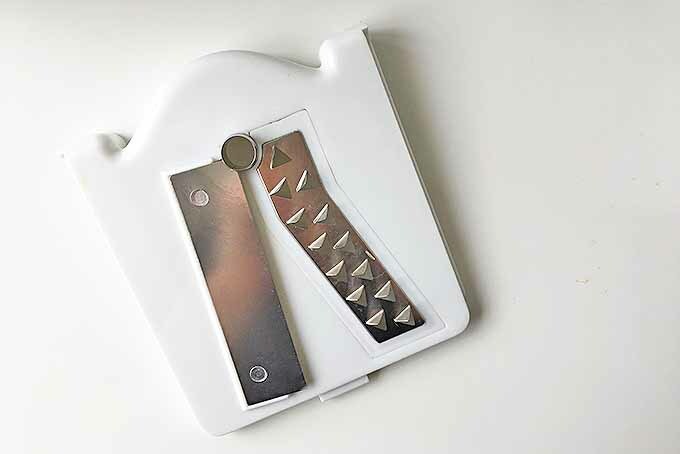 Insert the chipper blade – it has larger holes compared to the other blades. Insert the handle attachment on the other side, sliding it up or down to accommodate enough space for the onion. 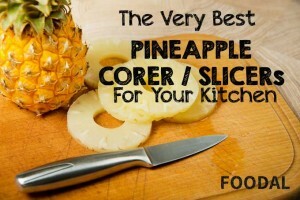 Pierce the onion onto the small circular metal corer on the blade, and press the other end of it into the plastic prongs on the handle attachment to secure it in place. 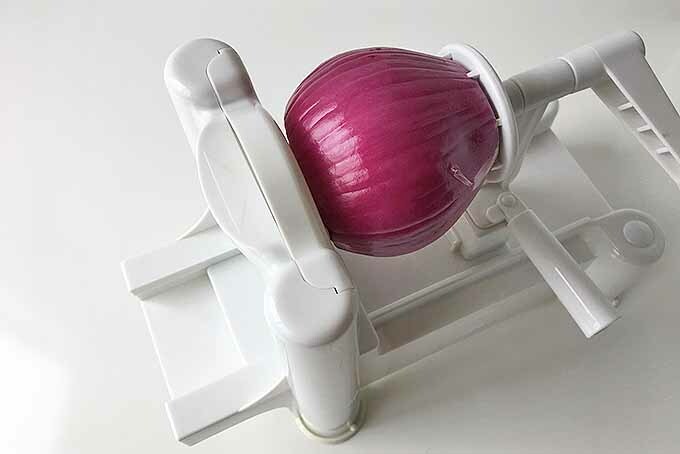 Crank the handle attachment, gently pushing it towards the blade as you apply more pressure on the onion to spiralize it. The noodles will fall out on the opposite side of the blade. 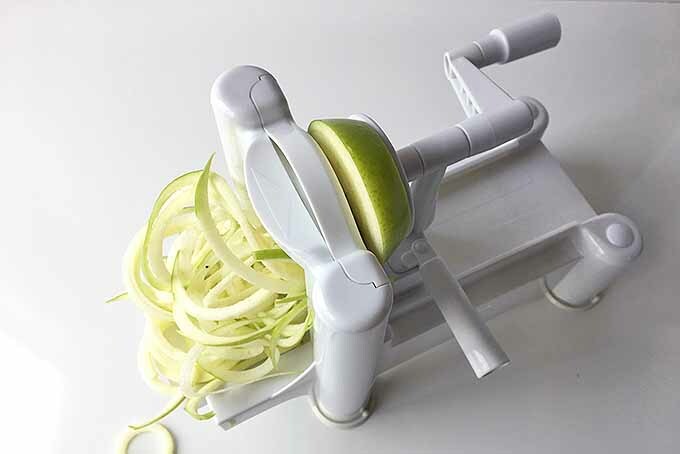 After the apple is spiralized, repeat this process again with the apple using the same chipper attachment. 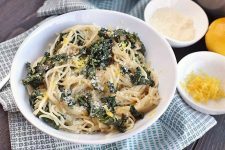 If the noodles are too long, you can chop them into smaller sizes to create more bite-friendly pieces that are uniform with the other ingredients – it will make eating the finished dish much easier! If you don’t have a spiralizer, you can use a mandoline to slice the produce instead. Slice the apples into 1/4-inch planes then cut into 1/4-inch matchsticks. For the onions, slice 1/4-inch planes then break apart each layer of rings. Combine the apples and onions with the other half of the grapefruit juice. The acid from the citrus will keep the apples from browning while you finish preparing the salad. Walnuts are tasty on their own, but toasting them unlocks that extra bit of flavor when the oils are released, and helps to improve the nut’s texture. 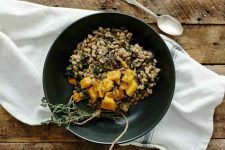 Place the walnuts in a small, clean saute pan and cook over low heat, stirring or tossing regularly. Once you begin to smell their nutty aroma, they are done. Turn off the stove and remove them from the heat immediately. 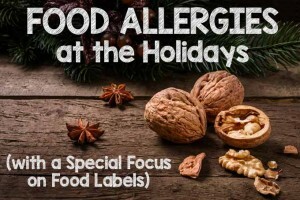 Though this step can also be done ahead of time, I like adding the warm walnuts to my salad and serving it right away. The temperature contrast is really nice. It just takes a split second to turn from deliciously toasty to bitter and burnt – be sure to keep an eye on the walnuts! 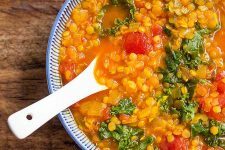 Now it’s time for the best part – toss everything together in a large bowl, and serve. 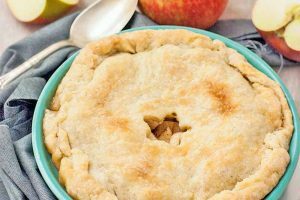 The best aspect of this recipe is the fun texture from the spiralized apple and red onion. Like a little bit of creaminess in your salad? 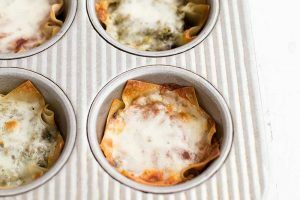 Try tossing in some goat or feta cheese. Don’t have walnuts on hand? Try sunflower seeds instead. 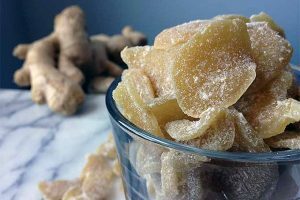 Tired of grapefruit? Some blood orange is mighty nice. 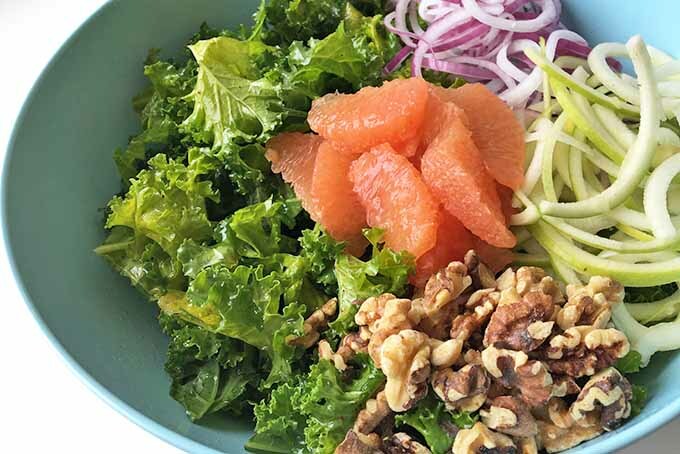 If you’re looking to mix up your salad routine, this is a great place to begin. I can only imagine what other kinds of creative dishes this recipe might inspire. For another colorful, fresh veggie idea (spiralizer not required! ), make our classic Greek salad recipe! 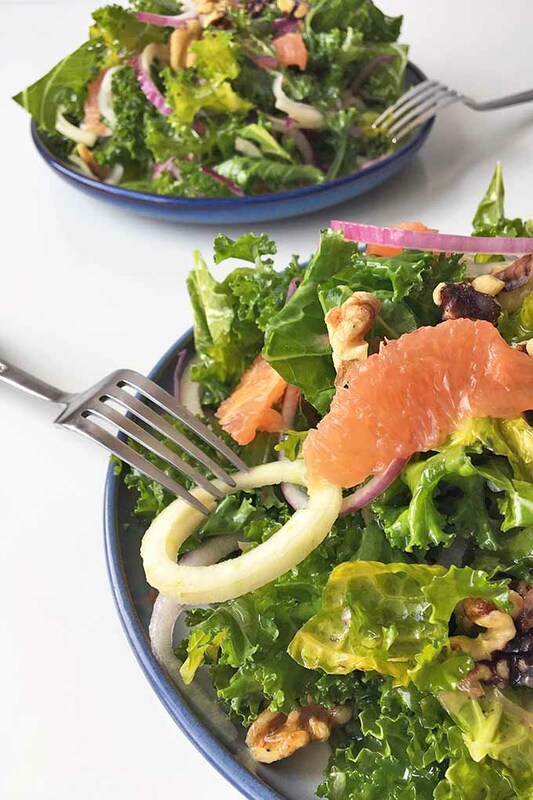 Have you ever tried spiralized veggies on your salad? What are your favorite kinds to serve? Tell us about it in the comments below!